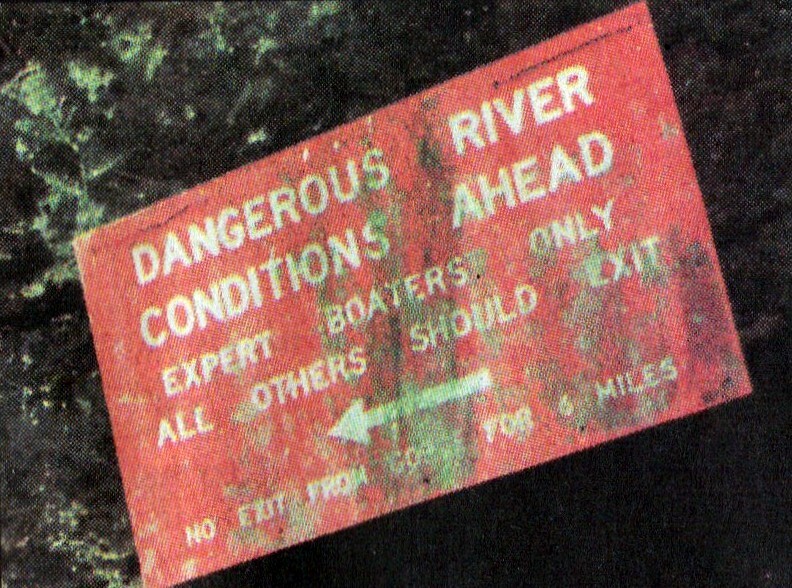 A sign posted on a cliff wall at the entrance to the gorge warns boaters of dangerous rapids ahead. The 12-mile-long Green River Gorge is the last river-cut rock canyon in Western Washington, slashing down 300 feet into the Puget Sound’s 50-million-year-old sub-tropical past. 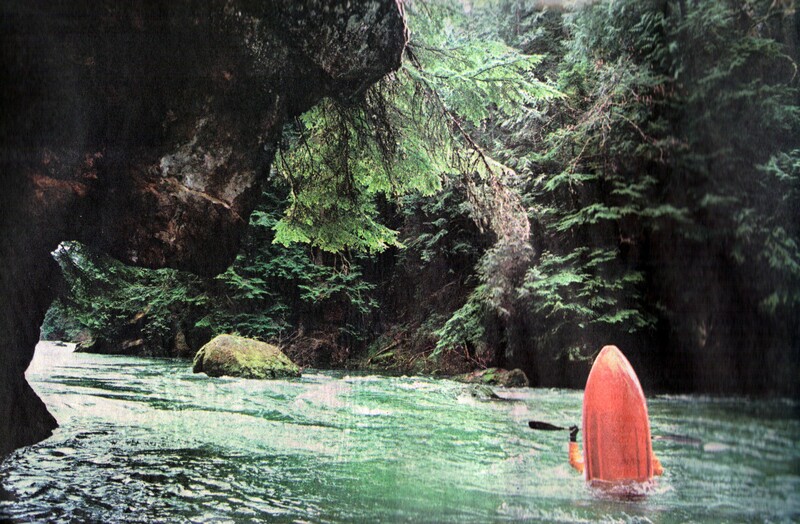 A wild place of natural wonder just east of Black Diamond, the gorge remains isolated, allowing it to survive man’s intrusion. Coal miners came and went, their passage marked now by a ghost town, pieces of cable, and rock-filled mine entrances. A coal seam, part of a mine abandoned decades ago, still burns today. Fossils, petrified wood, even a petroglyph are found here by the rafters and kayakers, fishermen, hikers and berry pickers who know the gorge’s beauty. BLACK DIAMOND—In the depths of the Green River Gorge, a giant black and brown sandstone rock rises at a steep angle like a whale breaching from a white-flecked green sea. The sandstone glistens with the record of the 50 million-year-old subtropical climate that once covered this land. On its flank, a tiny dipper bird goes about its business, clinging to the vertical face. Elsewhere in the gorge, rock cliffs give way and spruce and cedar trees mark the steep, forested sides, feathering the rim 150 to 300 feet above the twisting river. Black bear, deer, elk, cougar and bobcat easily find seclusion here. Kingfishers, mergansers and even an eagle or two commonly ride the narrow airspace. Always there is the moving water, sometimes roaring as it crashes over rocks, sometimes silently pooling in a rocky grotto or lapping at a small rocky beach.